Yesterday, the Special Inspector General for Afghanistan Reconstruction (SIGAR) released an audit of the Afghan National Police (ANP) Fuel Program. The report found limited oversight of fuel purchases and a high risk of loss, theft, and misuse of U.S. funds and purchased fuel. The troubling findings indicate that more management of U.S. aid is required in order to ensure a successful withdrawal from Afghanistan. In our most recent issue, Jack Devine and Whitney Kassel revealed how key lessons from the Soviet Union’s withdrawal in the 1980’s can guide U.S. policy today. Their piece, Afghanistan: Withdrawal Lessons, reveals the dangers in not supplying the necessary resources and management to the fledgling Afghan government. The audit’s findings include an increasing risk of waste, fraud, and abuse of the pending $1.4 billion in funds from the Combined Security Transition Command (CSTC-A) to the Afghan National Police. Additionally, the report finds that the CSTC-A is struggling to even meet current demands for Afghan National Police fuel, citing an inability to support a $134.6 million request. Learning from both SIGAR’s recent report, as well as lessons from recent history, the U.S. can better navigate a long-term investment in Afghanistan’s stability. Looking back at the Soviet Union’s withdrawal, Devine and Kassal reveal how quickly former President Najibullah lost power following inadequate international support. At a critical point right now, the U.S. may be in a similar situation today should necessary funds and oversight not be allocated. The audit reveals that U.S. forces lack both reliable information on the number of Afghan National Police vehicles and consumption data from the Maintenance Operation Instruction (MOI). Better management of U.S. aid translates into the ability to collect data regarding the needs of Afghanistan. In order to begin this process, the audit recommends conducting specific research into fuel needs, prices, and storage capacities at Afghanistan National Police locations—critical in preventing the misuse of highly-sought after funds and resources. Devine and Kassel’s piece points out that, when done in conjunction with increased research on fuel needs, could benefit Afghan political stability. Leaving behind substantial military equipment could aid in backing strong negotiations. If necessary, the military support could help fend off groups who refuse to negotiate with the Afghan regime. Though conducting further research and leaving military equipment may seem like another economic burden the U.S. cannot shoulder, these measures could actually save the army substantial funds. According to the audit, the U.S. spent over $1 million in unneeded costs in just two months—a result of employing higher-priced vendors. Better research and oversight into the best vendors could prevent additional and unnecessary spending. Furthermore, the U.S. should consider the potential cost benefits of leaving heaving military tanks behind to determine whether that option is, in fact, more efficient than paying extremely high prices to ship heaving military tanks back. When examining the amount of money, time and, most importantly, the number of lives the war in Afghanistan has cost the U.S., it is no wonder its leaders are hesitant to extend any more support. However, navigating a successful last stage of withdrawal could mean lasting stability or further chaos in Afghanistan. The Special Inspector General for Afghanistan Reconstruction’s audit points to the risk of not properly sustaining and managing resources to the Afghan National Police and the political regime. Devine and Kassal’s recommendations for withdrawal solutions should therefore be heeded. 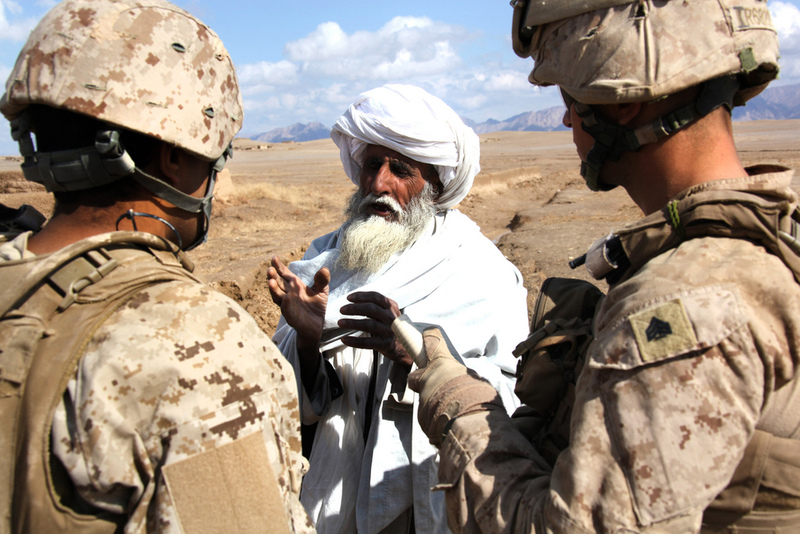 Well-managed support to Afghanistan is critical to a successful U.S. withdrawal. Ensuring continued and properly managed funds is an investment not only worth making, but one that is required for regional stability. Tags: Afghanistan, Soviet Union, U.S. Army, World Policy Journal. Bookmark the permalink.